The PNG LNG landowner's petition for PDL 1 landowners have been reviewed yesterday in a meeting chaired by Mineral Resources Development Company (MRDC) Managing Director Augustine Mano. 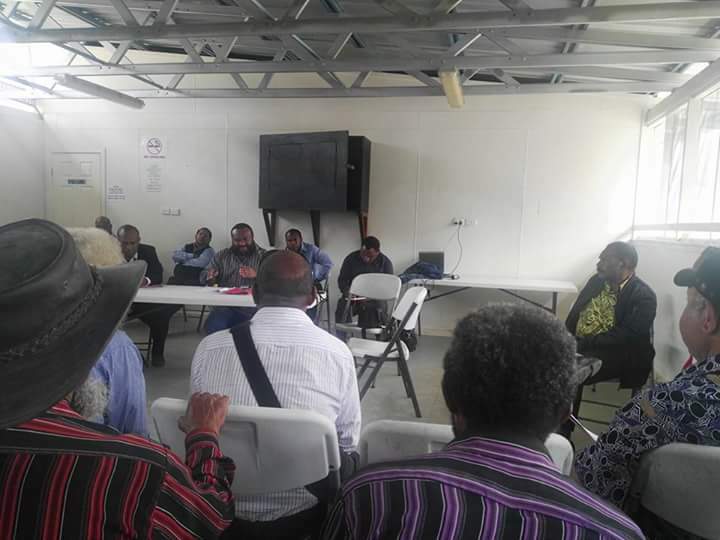 Those present in the meeting were A/Secretary Department Petroleum and Energy David Manau, Community Affairs Manger Kumul Petroleum Ian Maru and other officials. Discussions to continue on Monday. No positive outcome through this meeting on Saturday in Port Moresby. Meanwhile, since 2014 the usual maximum LNG flow rate from PNG LNG Marine Terminal in Port Moresby to ships has been reduced from 12,000 cubic meters/h to 6,000 m3/h as of yesterday (Friday 12/08/16) when loading for the 221st shipment. When asking this reduction in half gas export, the marine supervisors at the terminal said its due to closing down of valves by Landowners at Hides resulting in reducing the flow rate. Company officials were tight-lips on this fact due to maintaining Exxonmobil's global image of good social corporate responsibility. Although the company suffers greatly, it plans to shift this cut to stakeholders including PNG Government and landowners. It was reported that the valves stations were not closed in media but it is confirmed by landowners in Hides PDL1-7 valves are shutdown until a good respond is given. In the meeting, there was no new item was discussed, rather the same old things discussed in Hides last week with the Government delegate lead by senior ministers. In Hides yesterday, a State team visited again to reopen the valves while negotiations take place in Port Moresby but failed.